When your bite is misaligned, the symptoms are often chronic and can be difficult to understand. 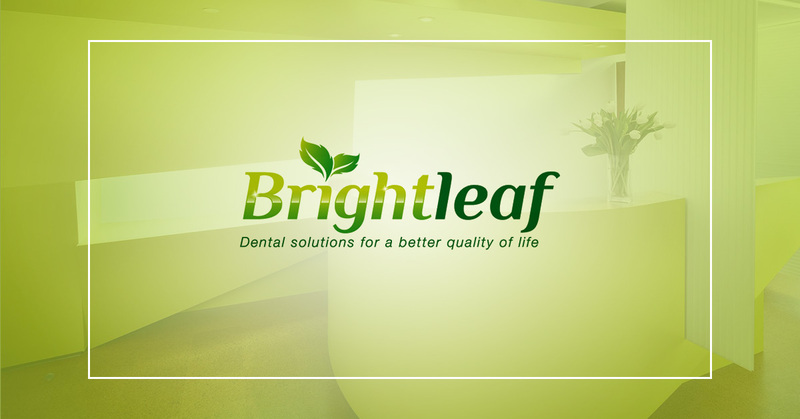 At Brightleaf Dental, Dr. Brightleaf is specially trained and experienced in finding solutions for patients who have an improper bite. If you have jaw pain, headaches, or experience a jaw that gets “stuck” upon opening the mouth to eat or yawn, you may want to come in for an exam of the Temporomandibular Joint, TMJ. For a proper assessment of your dental health, call your local dentist in Santa Monica at (310) 395-1810 to schedule a TMJ consultation with Dr. Brightleaf. It could make the difference between spending years in discomfort or pain or discovering the relief of a having a more functional bite founded on whole-body health at Brightleaf Dental. The first step before treating TMJ symptoms is to schedule a TMJ consultation or exam with Dr. Brightleaf. You may also visit our blog about TMJ symptoms and what to expect at a TMJ exam. At your TMJ exam, Dr. Brightleaf is able to help you understand what is affecting your dental health and set you up for success with treatment options. Should you choose to be treated, we have a number of TMJ treatment methods that are specialized for your dental needs. 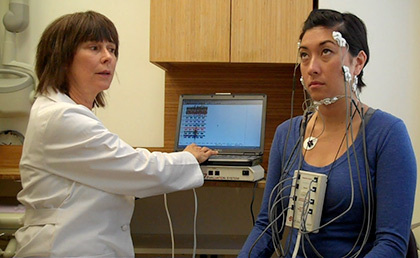 The Myotronics K7 system is used to scan and analyze the positioning of the bite beyond the capabilities of a simple physical examination. Using the K7, we’re able to perform an in-depth muscle examination where electrodes are placed on the affected muscles to measure the tension or fatigue of the muscle and determine if they are no longer as effective as they should be. Dr. Brightleaf uses sonography as a diagnostic tool in assessing disc derangement of the temporomandibular joint. Because the joint is internal, sonography is a gentle and highly effective method for analyzing signs of displacement. Specifically, the sonogram measures the frequency of joint-related sounds, such as clicking and popping of the joint. A TENS machine is used to deliver small electric pulses to the muscles using electrodes that are placed on the skin. During treatment with TENS, the electric pulses get the muscles to relax and ease away tension. What makes this machine so effective is its ability to override the habitual bite, which allows Dr. Brightleaf to carefully design and shape the ideal neuromuscular bite. Dr. Brightleaf has devoted years of training and experience into developing dentistry that caters to building a positive foundation for systemic health. She has completed comprehensive aesthetic dental care training from the LVI Institute’s Core Series, and then received the Fellowship award at the Las Vegas Institute. Dr. Brightleaf continued further education in Gneuromuscular Dentistry, specific to the study of determining the “right bite” in incredible precision. Dr. Brightleaf has also completed Levels 1 through 7 in Dr. Clayton Chan’s core series, which has further increased her abilities to provide the best TMJ care possible for her patients. Do you have a question about your dental health? Are looking for a dentist concerned about the way dental health affects your entire body? Dr. Brightleaf offers solutions for a better quality of life. Give Brightleaf Dental a call at (310) 395-1810 or come in today to schedule a consultation for quality dentistry in Santa Monica.